At its Cloud Next '19 event, Google announced Anthos, which was previously known as Google Cloud Services Platform while in beta. Anthos represents Google's foray into the emerging hybrid cloud market, and joining in that venture will be Intel, who also announced it would be partnering with Google to collaborate on Anthos. Intel's new focus certainly lends itself to Google's hybrid and multi-cloud ambitions, and cloud computing is just one of the many markets in which Intel's tendrils extend to. The hybrid cloud market is forecast to hit $97.64 billion by 2023, up from almost $45 billion last year. It's no surprise that Google and Intel want a piece of the pie and to compete with key players like Microsoft and Amazon Web Services. For its part, Intel will be providing the hardware powering Google's Anthos instances, as well as new Google Cloud virtual machines. Google will be among the first to adopt Intel's newly minted second generation Xeon Scalable Processor family, also known as Cascade Lake. 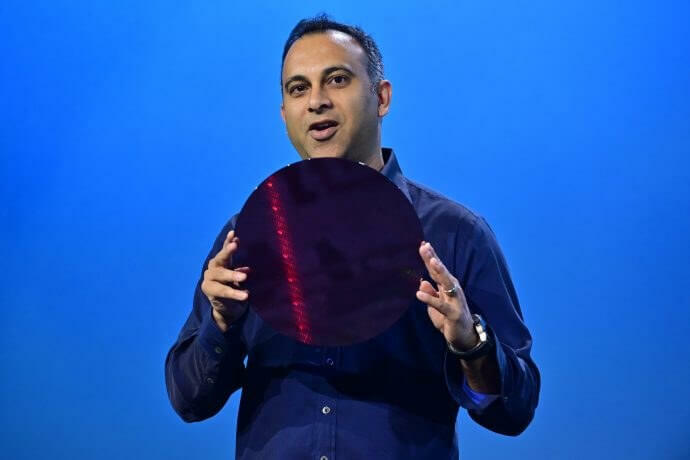 Google will also deploy Intel's recently announced Optane DC Persistent Memory, with virtual machines configured with 7TB of memory for strenuous in-memory workloads. Intel will offer the production design as an Intel Select Solution, available to partners and as a development platform. Solutions based on Intel's reference design should be out later this year, while Anthos is generally available. Equipping Google Cloud with Cascade Lake CPUs and Optane DC Persistent memory will certainly prove a lucrative venture for Intel.